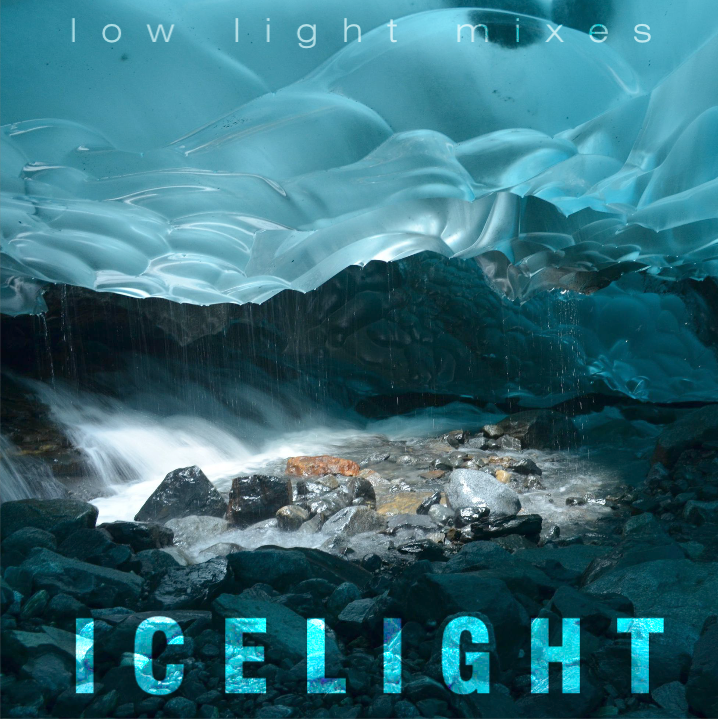 Low Light Mixes has been nominated for "Best Online Music Show - Ambient/Chillout" by Mixcloud. Woo Hoo! I make these mixes for my own amusement so when recognition like this comes along it's icing on the ambient cake. Judges will be listening to the nominees and making a decision. There is also a Listeners Choice award as well and that's where you come in. 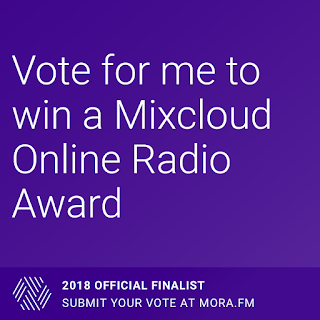 Please click on the link below and vote for Low Light Mixes. The other nominees are excellent! Kaitlyn Aurelia Smith and Tonepoet? Yikes, that's some very tough competition. Voting closes at 23:59:59 on Sunday May 20th. Thanks to everyone for your support over the years and thanks for listening. I wanted to get a snow themed mix in before winter starts to wane. So here it is. 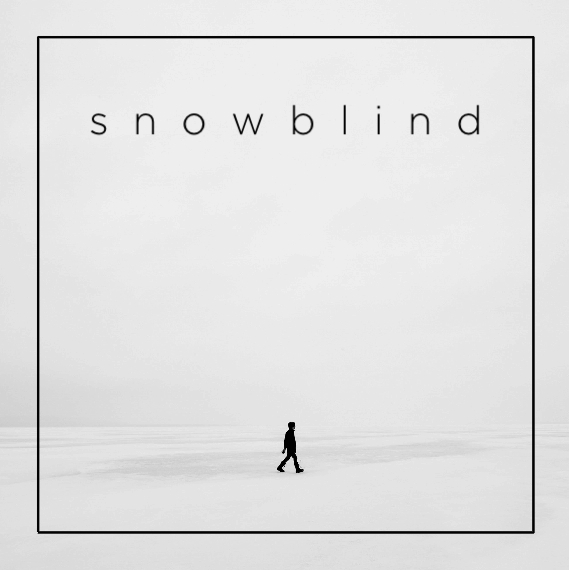 Most of the tracks have the word snow in the title. 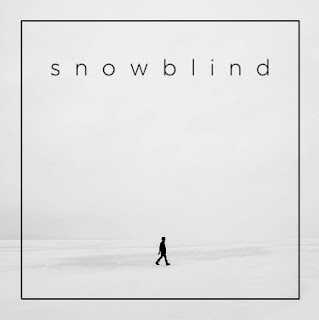 Anytime I can use a tune from Yagya's "Rhythm of Snow" I'll gladly take it. Looking forward to a new guest mix in the coming weeks and a mix featuring delicate micro-sounds from 10 years ago. Here is another fantastic mix curated by Paul Asbury Seaman. His earlier mixes are "Floating Through Moonlight" and "The Memory of Trains." Yikes, that was more than I thought and I may have missed a few. 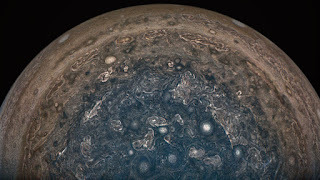 This new mix fits right in with my love of all things NASA and my love of electronic music. What sets this one apart is the sequencing of the tracks. 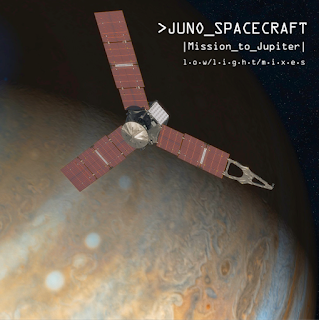 The titles of the tracks take you on the Juno mission from start to finish. Going from "We Launch Tonight" to "Arrival" to "Ganymede" to "Cloud Shaping" to "The Last Message." The Juno Spacecraft was launched in 2011 and arrived at Jupiter in 2016. 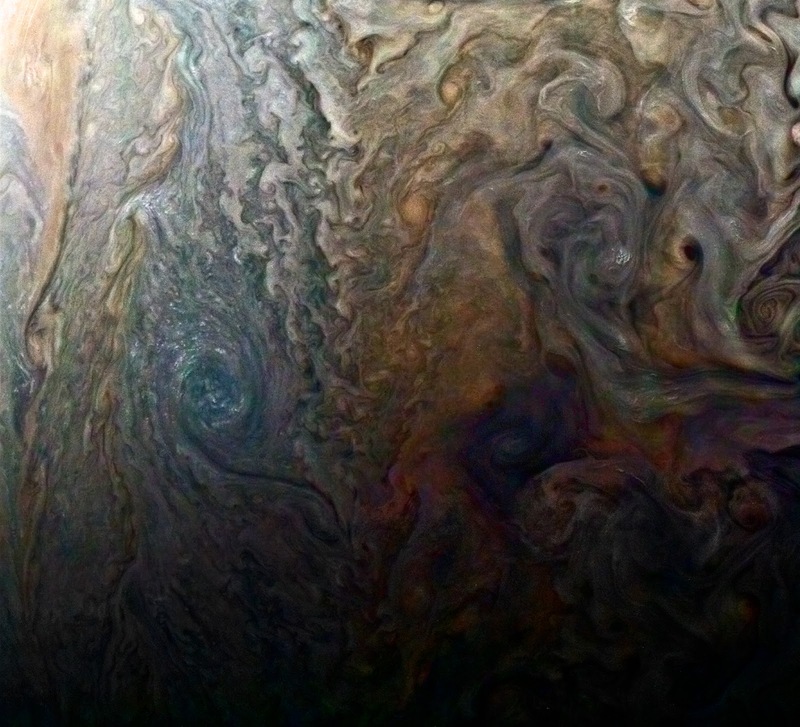 It's been taking amazing pics and gathering data while in orbit. 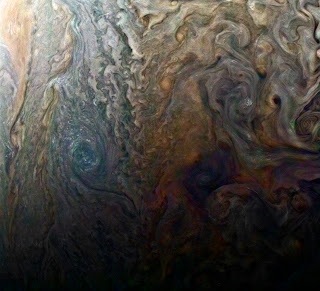 After completing over a years worth of orbits and close fly bys, Juno will plunge into Jupiter's atmosphere and burn up, sending data back for as long as possible. 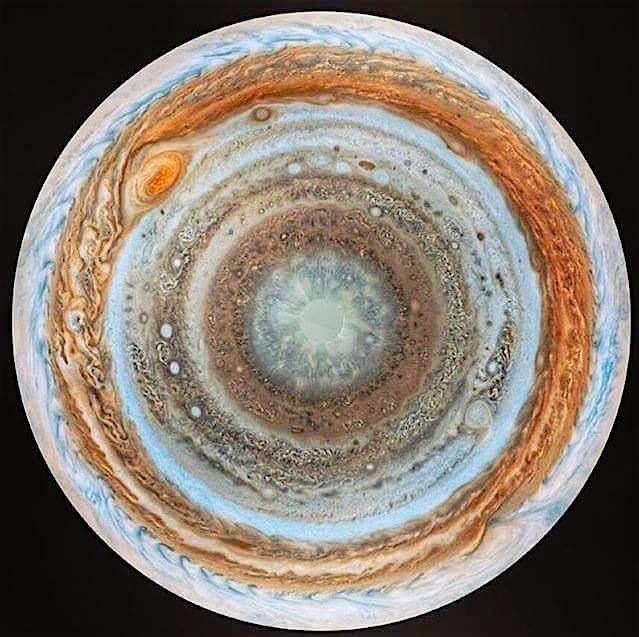 This mix attempts to tell the story of Juno on it's mission to Jupiter and it's moons. 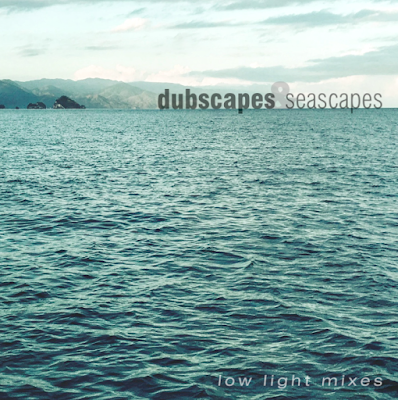 I love me some ambient dub. I also love ambient tunes that remind me of the sea. 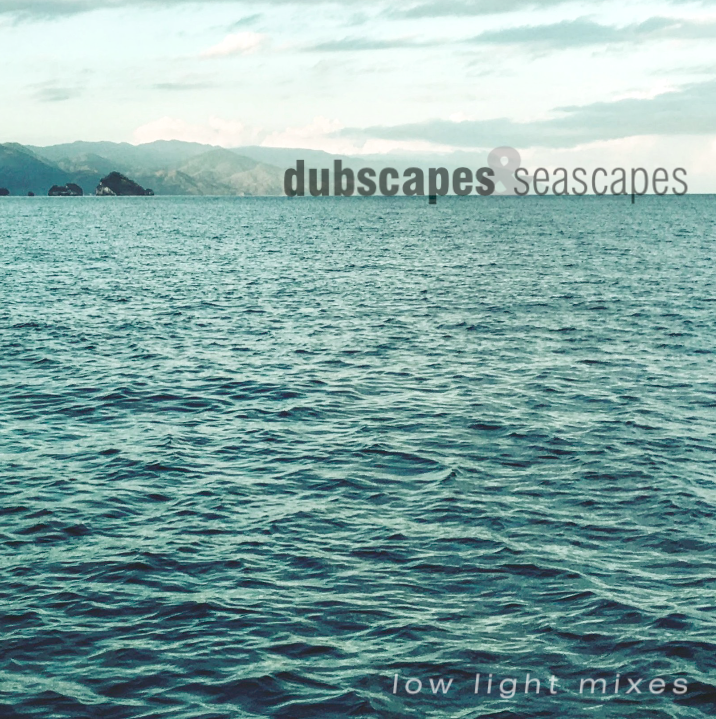 Over the years I've made 7 dub style mixes & 6 sea themed mixes. This new mix combines those two obsessions. There's now much else to say about all the music here. other than I think all the tunes flow nicely & work well within this theme. As with so many of these mixes this one grew out of one particular recording. In this case it was The Revenant soundtrack by Ryuichi Sakamoto with Alva Noto. It's an absolutely gorgeous film score and I knew I needed to build a mix around it. 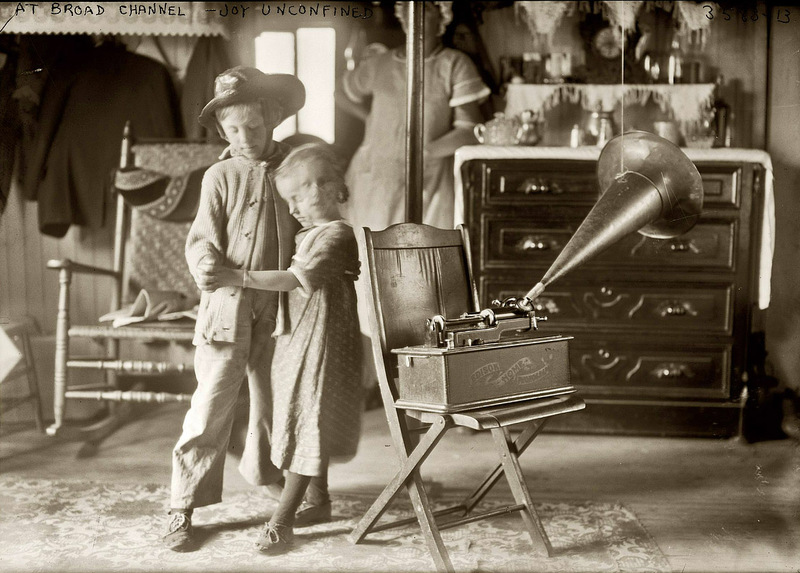 This mix, as the title suggests, is fairly atmospheric in feel and sound. The tracks used are a combo of newer recordings & old ones too, with The Revenant making three appearances. That soundtrack is definitely going to be on my best of list at the end of 2016. Two cuts on their playlist are from two of my favorite albums this year, Goldmund - Sometimes and Nils Frahm - Solo. As I listened to those two tracks over & over I started to think about the piano as a healing instrument. 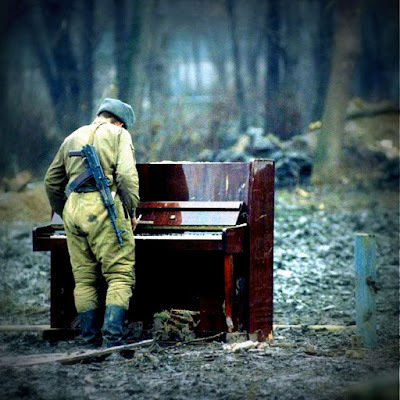 The right song & circumstances can make just about any instrument a healing instrument. But somehow the piano seems ideally suited for that role. Most of the tunes used here are new. In addition to the Goldmund & Frahm cuts another 2015 favorite album included in the mix is Chris Walla - Tape Loops. Walla is the drummer for Death Cab for Cutie and he has put together a nice collection that reminds me of Music for Airports & Music for Films. I hope this mix can act as a musical balm, soothing our psyches in these turbulent times. 30:55	Nils Frahm - 4'33"
32:40	Mette Henriette - .oOo. My good friend, Gene over at Ambient Landscape, asked me to do a guest mix for him and this mix is the result. Ambient Landscape is a great source of ambient info and mixes. The sound of those two sad tape recorders reminded me of mixes I've done that combine very old recordings with new music that blends well with those scratchy, noisy old records. That's where this mix began and from there I went in search of old cylinder recordings, which have gotten easier to find since my first mix with this theme back in 2008. 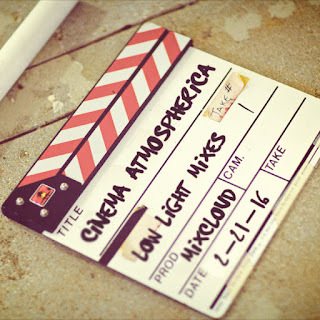 The vintage cuts that I used in the mix come from Edison cylinders recorded around 1906 to 1908. Most of the old tracks are effected in some way. Sometimes I slowed the original way down, other times echo and reverb were added. For many of them the original is combined with the effected version to create some bizarre other-worldly sound. The new music in the mix is a collection of stuff that seems to work well with this theme. Gavin Byars "Sinking of the Titanic" works on two levels - sonically is blends well with the tracks around it and it's about the sinking which took place in 1912. I think the mix does a pretty good job of mashing up the old and the new. I was planning on making a rain mix sometime this fall & I was planning on making a dub mix as well. Then I realized that those two theme as perfect for each other. So here is the appropriately titled mix "dubby & rainy." 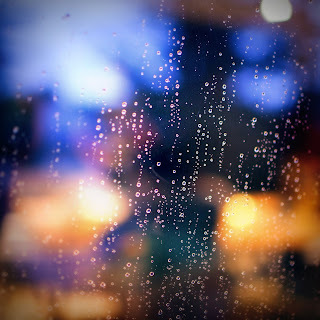 I love how a lot of ambient dub tunes already sound sort of "rainy." They make liberal use of white noise which is great for conjuring a rainy atmosphere. So many of these tracks already sound & feel "rainy" that I didn't have to add much rain fx. 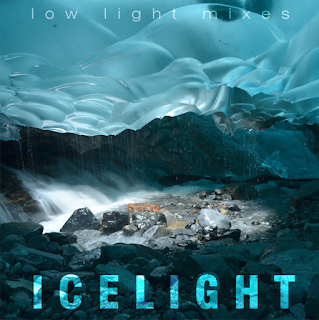 At the end of May I posted an excellent mix from Mike G of the Ambient Music Guide. We agreed to do guest mixes for each other and that the starting point would be a title that each of us would give the other. We sent each other a few title ideas, we each chose one and got to work. 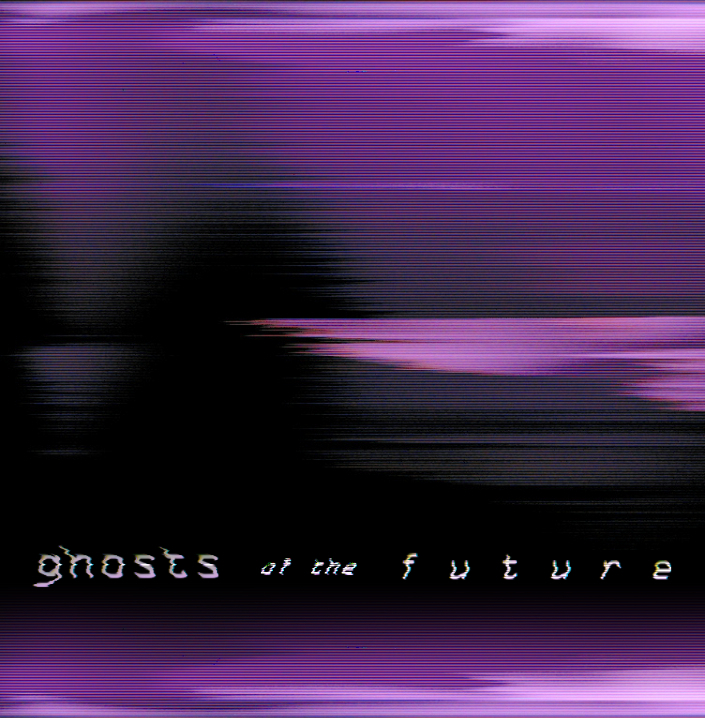 Mike gave me about 4 or 5 title ideas and my attention was immediately drawn to one in particular... "Ghosts of the Future." The first thing that comes to mind is the film "Interstellar", which I had just re-watched right before this project. 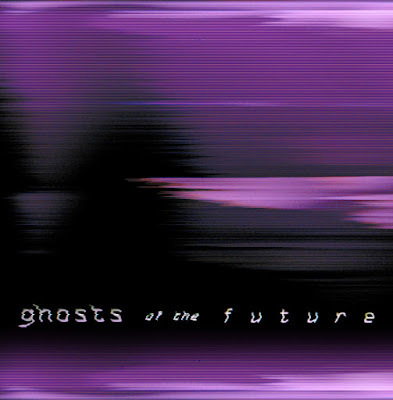 With its time dilation and Murph's "ghost" communicating from the future, the soundtrack is the perfect launching point for this mix. I like soundtracks but Hans Zimmer usually isn't a favorite. However with this film he strikes a perfect balance. At times the music has a Philip Glass feel to it. I also thought of snippets of voices as ghosts and so I worked in some spoken word excerpts here & there, as well as using tracks that had voices or vocoder. Overall I hope the mix conveys a strange, otherworldly feel to it. Thanks again to Mike G for doing the mix swap with me and thanks for a great mix title.